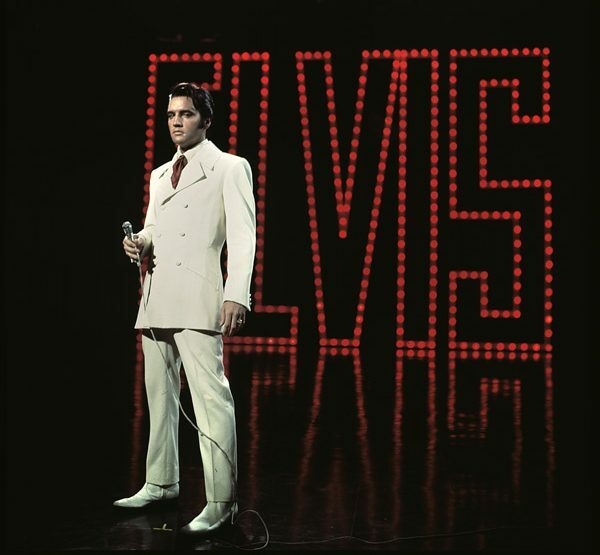 As the French say, plus ça change… Fast-forward nearly 90 years, and El Dorado once again is counting on arts and entertainment to help reinvent itself. 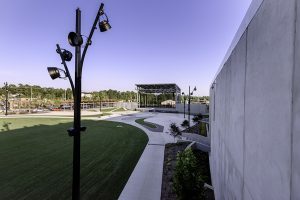 The MAD Amphitheater is home to outdoor films, concerts and music festivals year-round. Join the 7,000 or so people who crowd the amphitheater in the new Murphy Arts District to hear ZZ Top or Hank Williams Jr., and you’ll experience part of El Dorado’s ambitious dream. But the roots of the story stretch back decades: a tale of oil, sudden prosperity, slow decline and people who weren’t willing to watch their city die. Southern Arkansas was transformed almost overnight in January 1921, when a massive gusher of oil erupted in Union County. Within two years, the population of El Dorado exploded from 3,800 to 40,000. And among the standard cast of characters of a boomtown — the con men, moonshiners and prostitutes — were a fair number of folks who created dynasties. Famed tycoon H.L. Hunt got his start here; El Dorado’s Lion Oil Company became a petroleum powerhouse; businessman C.H. Murphy begat companies that shape the city to this day. El Dorado’s decline began as the oil fields lost productivity, continuing in recent decades as several major industries closed or moved their operations. The economy sank, and the fine old buildings downtown, erected in the boom years, were largely empty by the 1980s. City leaders have reinvented their community to attract tourists. Geologist-oilman Richard Mason, a Union County native whose explorations in Mississippi made his fortune, took an interest in the forlorn square around the imposing county courthouse. “We had no intention of getting into downtown revitalization, but we saw some opportunity and it just grew into that,” he says. “At one time, we were considered the only folks stupid enough to buy downtown real estate.” Mason and his wife, Vertis, bought several buildings and renovated them to a high standard, attracting rental businesses including retail shops, offices and restaurants. The Masons’ Union Square Guest Quarters, starting with just two apartments, has grown to encompass 35 high-quality rooms and suites, offering visitors an alternative to the chain motels on the highway bypass. The city took a momentous step forward in 2007 when the Murphy family, whose Fortune-500-level wealth dates back to the boomtown days, funded the El Dorado Promise, which provides guaranteed college tuition for graduates of the high school. The groundbreaking program has been, in the words of Murphy USA Chairman Madison Murphy, “phenomenally successful.” Graduation rates have increased, more graduates have entered college and students are making better grades and staying in school in higher numbers. “We’re now seeing kids that were graduates filtering back to El Dorado, which is rewarding and heartening,” Murphy says. “It’s something that instills opportunity and hope in people.” Word of the program’s influence has spread nationwide, and the El Dorado Promise office regularly hosts representatives from other cities hoping to copy its success. 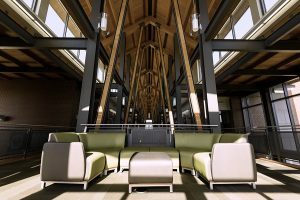 A new high school and a conference center reinforced the city’s upward path, but El Dorado was looking for something more — something splashy and high-profile that would make the city not just a nice place to live, but a compelling place to visit. 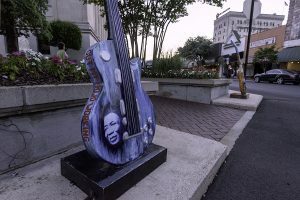 The answer was what Murphy calls “this big, bad, crazy, bodacious, insane idea:” betting the city’s future on art, music, theater and whatever else falls under the umbrella of entertainment and culture, including a food and wine festival that’s been a highly popular attraction. 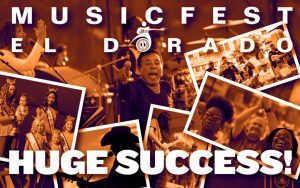 The Griffin Music Hall is home to a diverse mix of concerts throughout the year. The biggest news for the visitors El Dorado wants to attract came last September, with the opening of the Murphy Arts District just south of the downtown square. Phase 1 of this ambitious project encompasses the Griffin Restaurant, a just-upscale-enough restaurant specializing in locally sourced food and hosting regular live music; the adjacent 2,000-seat Griffin Music Hall (the right size for acts such as Steve Earle and Jason Isbell); a next-door amphitheater for headliners such as ZZ Top; a farmers market; and the Playscape, a colorful playground with two acres of Arkansas-themed activities for kids. 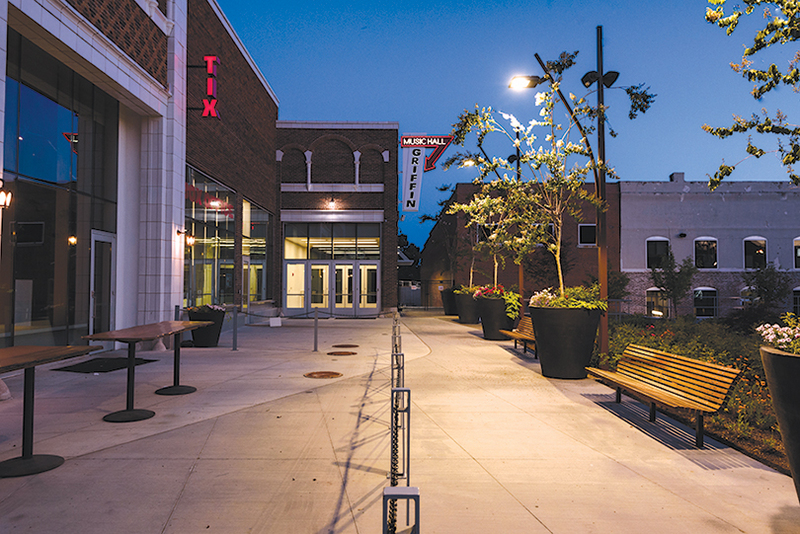 It’s early in the process, but the Murphy Arts District has undeniably transformed El Dorado. The downtown revival begun by Richard and Vertis Mason has been given a boost by the activities just two blocks away, and the courthouse square buzzes with shoppers and diners at spots such as fayray’s, Laredo Grill and the Black Cat. 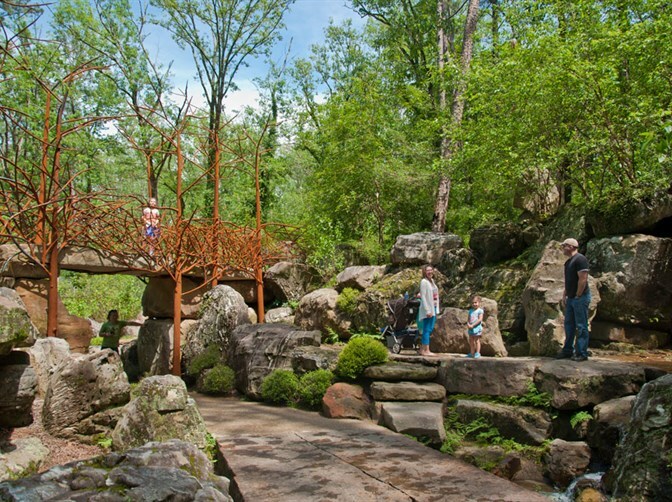 The Arkansas Department of Parks and Tourism has recognized El Dorado’s progress by naming Madison Murphy Tourism Person of the Year and by presenting the Murphy Arts District with its Natural State Award. Local resident and musician Kelly Chitwood appreciates the changes in her town. “What I enjoy about our new Murphy entertainment district is the choices we have for food and entertainment,” she says. “It’s nice to stroll downtown and have a couple or more choices of what type of music you’d like to hear on the weekend. The farm-to-table theme at the Griffin enables us to support local farms — a feel-good win.” Chitwood and her daughter occasionally perform at open-mic nights at PJ’s Coffee on the square. El Dorado hopes to capitalize on the entertainment and arts industry. Downtown redevelopment is far from over. Phase 2 of the Murphy Arts District will begin with the renovation of the 1928 McWilliams Furniture Building, across the street from the Griffin, into an art gallery. An even bigger (and costlier) goal is the rebirth of the Rialto, the vaudeville theater that was once El Dorado’s biggest attraction. 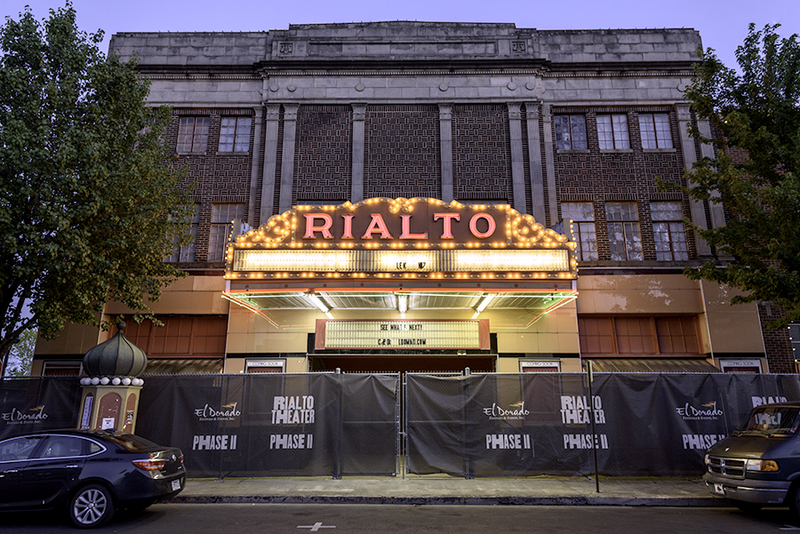 Backers envision the Rialto someday hosting traveling Broadway shows, film festivals and concerts by the South Arkansas Symphony.